When Alice Tatton-Brown found four photograph albums in an Exeter junk shop, she was captivated by the lives revealed in the portraits filling its pages. 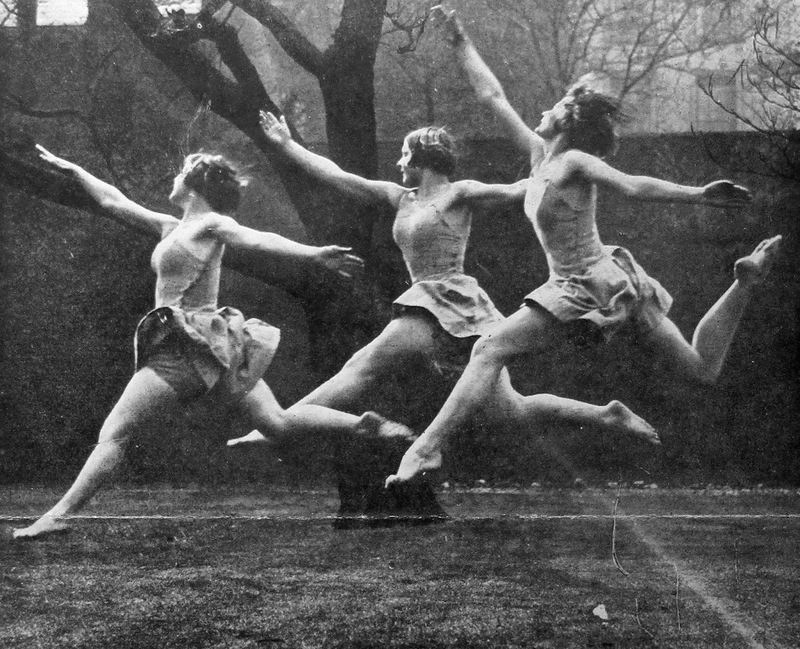 Who was this graceful, theatrical woman, so often captured mid-dance, mid-leap? Who was the man holding her close or – more often – behind the Leica III, intent on preserving her vitality forever? How did this couple, who seemed to embody such passion and intensity, come to be abandoned in this way? Part audio installation, part performance, Ariel documents Alice’s quest to answer those questions, and poses many more – about the relationship between the public and the private, the attempts we make to counter the impermanence of life, and the nature of curatorial responsibility. Moving and quietly contemplative, it celebrates a life-long romance while tugging mortality gently but insistently into the frame. Instructed to gather by the enquiries desk, we are greeted by Johnny (Rowden who, with Alice, participates in the piece) and told that we’re no longer required to whisper in the library, but once led into the main reading room, where everyone is engaged in quiet, private study, that comment reinforces the subtle shift in perception associated with taking part in a private performance (the two participants for each 30-minute session wear headphones throughout) in a public space. Surrounded by the evidence of human endeavour, of myriad lives collected between hard covers, preserved on paper, we receive the story of the couple in the photographs, John and Muriel, the when, the where, the how; while we listen, Alice walks around, putting away books, checking spines – her detective work played out before us while her voice draws us deeper into the couple’s life together. In the telling, Alice is seeking to preserve John and Muriel anew, creating fresh markers for them in everyone with whom she shares their story. The tension caused by the interplay of public and private surfaces repeatedly throughout the piece, in its structure and its narrative: we watch Alice and Johnny move around the library seemingly unnoticed by everyone but us, while the intimate details of two strangers’ lives are poured into our ears; we are led to the ‘special section’ of the library – the ‘private’ within the public – to see digitised versions of the photographs, intensely private moments rising and fading before our eyes. Should I be looking at these images? By accident or neglect or intention – but without the knowledge of or consent from John and Muriel, that is certain – these photographs entered the public realm. At one point we hear Alice discussing her distaste for Facebook, and her fears about handing the albums over to be digitised – so that we can see them – and yet here are these private, intimate photographs now being viewed by two people every half hour, for eight hours a day, over the course of seven days. Having bought the albums, Alice now owns the photographs; she can display them how she chooses. In the telling and retelling of this story, John and Muriel are alive again, in our ears and our hearts, but I can’t shake off the feeling that looking at the images, many of a semi-naked Muriel, is intrusive. Is it surprising that, as a childless couple, John and Muriel’s joint venture against transience ended up in a junk shop? It certainly seems so, when we hear about their happiness, their achievements and their adventures. But while Ariel celebrates romance – and the piece is as much a paean to the library itself as it is to love – it is also a reminder that mortality is always just at the edge of the picture. In this place where deeds and ideas are catalogued, ponder which aspects of our lives – perhaps those that reveal the most – might end up splayed across the tarmac on a frost-bright, car-boot Sunday. Find out more about Ariel here. This review first appeared on Exeunt.